I represent business debtors, trustees and purchasers of distressed assets in Chapter 7 and 11 bankruptcy cases. I also have experience as a receiver in state court receiverships. I have been trained to provide mediation services and have chosen to focus exclusively on bankruptcy disputes. Additionally, I help families probate wills and administer estates in probate courts. Finally, I prepare wills and estate plans along with asset protection services. Since 1981, I have served on the panel of Trustees for the Northern District of Alabama, Southern Division, in Chapter 7 bankruptcy cases. During my 30+ years of service as a trustee panel member, I have served as Trustee in over 26,000 chapter 7 bankruptcy cases. Often, I serve as a lawyer for the case Trustee in Chapter 7 bankruptcy cases, and have served as Trustee in Chapter 11 bankruptcy cases to assist creditors in the winding up of the affairs of business debtors while assisting them with the implementation of plans of reorganization. In my role as a bankruptcy lawyer, I have participated in all aspects of bankruptcy litigation including, but not limited to, the following: stay relief motions, cash collateral motions, contests of claims, sales of property, the compromise of controversies, discharge litigation, preference recovery, fraudulent transfer recovery, fee disputes, property interest disputes and plan confirmation disputes. I have been party to many sales in the bankruptcy forum from both sides of the transaction. I have participated in the role as seller in sales representing business debtors in Chapter 11 sales, and have participated in sales as Trustee in Chapter 7 cases as seller. My participation also includes sales as a lawyer for creditors and parties unrelated to the bankruptcy case acquiring assets from bankruptcy estates. Consistent with my work in bankruptcy estates, I have also been called upon to serve as a receiver in state court actions to manage and account for business liquidation and/or preservation, and have been retained to preserve and/or liquidate business assets by agreement of business owners where their rights related to shared interests in business assets is disputed. Other times I have been retained by creditors seeking to preserve and protect business assets pending a sale of the business or property of the business whether by foreclosure or otherwise. Recently, I received training to provide mediation services. Because of my historical focus working in bankruptcy cases, I have elected to limit my mediation work to disputes arising in bankruptcy cases. Consistent with my philosophy that clients deserve value, I have adopted a novel approach to the costs of mediation services. I offer my services at rates that adjust to the amount of money in controversy, so that cases involving smaller sums of money are charged discounted rates. Consistent with my experience administrating estates in the bankruptcy forum, I have represented numerous executors in the probate process. This has included activities such as assisting executors in the liquidation and management of assets of probate estates, the resolution of claims filed in probate cases and sometimes in the resolution of disputes with beneficiaries of the estate. I am married to Kathy Gober Reynolds and we have four adult children. We are members of Oakmont Presbyterian Church where I am a member of the Session, sing in the church choir and serve as an adult Sunday School class teacher. I also sing in the Warblers Club, a performing men’s choir with an 85-year history from Woodlawn High School. I am a member of Timberline Golf Club. I have been a recipient of the Melvin Jones Fellow Award by the Lions Club and a Paul Harris Fellow with Rotary International. I received a BA degree from Furman University in 1977, and a J.D. degree from the University of Alabama in 1980. Since 1995, I have been certified in business bankruptcy by the American Board of Certification. 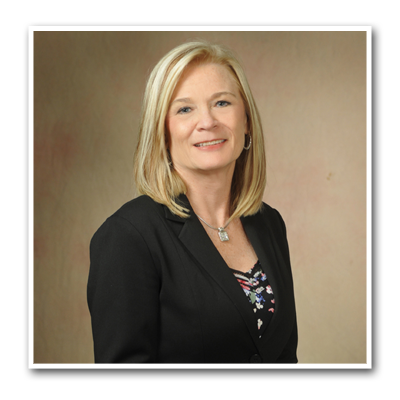 My experience and expertise has been acknowledged by my fellow lawyers by my selection to: Best Lawyers in America for bankruptcy and creditor-debtor rights law, Alabama Super Lawyers and Top Lawyers in Birmingham. In 2006/2007 I was elected as one of the Best of the Bar by the Birmingham Business Journal poll. My legal career began as an associate with the firm Johnston, Hughes & Whittington from 1980 – 1982. 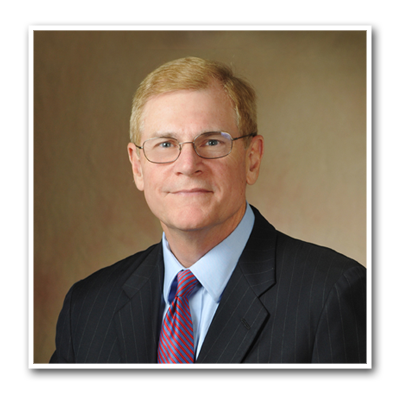 I was a sole practitioner from 1982 – 1984, and then worked as an associate with McMillan & Spratling from 1984 until 1986. In 1986, McMillan & Spratling, P.A. merged with Haskell Slaughter & Young, LLC, where I was employed first as an associate and later as a partner from 1986 through February 2014. At Haskell Slaughter Young & Rediker, LLC, I served as the Firm’s Managing Member from 2003 through 2012. I am licensed to practice in the following courts. In December 1981, one-year after having my first child, I returned to the work place. At that time I did not have experience in the legal field but was very interested in it and wanted to pursue it. My mother always said if you want something bad enough you should put forth your best efforts to obtain that goal. You never know if you can do something if you don’t give it a try. I have worked with Tom for 27+ years. I feel that I am a part of his team and someone that he and his clients can count on. The late Bankruptcy Judge Fulford had his own practice, Fulford, Pope, Natter, Donovan & Mullins, and was willing to give me a chance to prove myself. Well, here it is 2014 and I’m still employed in the legal field and still enjoy it. Over these many years of employment I have obtained experience in various fields of law. I started in the probate, wills and estate planning, and real estate fields in 1982 at Fulford, Pope, Natter, Donovan & Mullins. I met with clients to gather data to draft the documents required to administer probate estates and assisted in gathering of assets. I also met with clients to gather information concerning the planning of their estates. This included wills, powers of attorney and health care directives. In 1987 I went with Howard Donovan to Haskell Slaughter Young & Rediker, LLC to start a real estate department with the firm which included the preparation of documents for residential and commercial real estate closings. I prepared the various closing documents, performed due diligence and assisted in the closing of the loans or cash closings. It was there that I found myself needed in other fields of law also. There I broadened my experience to include bankruptcy, corporate and municipal finance. I assisted in the drafting of documents, administration of assets and corresponding with Debtors about their bankruptcy cases. I coordinated the sales of assets and negotiations of settlements. I prepared the documents necessary to form corporations and performed due diligence activities. I gathered the necessary information concerning the various municipalities for bond closings and assisted in the preparations of the various bond documents and the closing of the financing. My goal was to learn the hows and whys of each type of law and to be an integral part and someone each lawyer could count on. It was there that I became a legal assistant to Thomas E. Reynolds and focused on learning bankruptcy law. I have worked with Tom for 27+ years. I feel that I am a part of his team and someone that he and his clients can count on. I was born in Birmingham, Alabama. My parents were Alabama natives. I graduated from Meridian High School in Meridian, Mississippi, and attended Meridian Junior College. In 1975 I married Van Muth. In 1978 we moved to Birmingham, Alabama, and have called it HOME ever since. I have two boys, Patrick and Trent, and a granddaughter, Kailey, who is 3. I enjoy spending time with Kailey and doing the girl things. I also enjoy traveling and am, somewhat, of a handy person. My husband thinks that I only know the HGTV and DIY channels (I think he only knows sports and car auction channels). We’ve been married for almost 40 years so it must work. I am a member of Holy Infant of Prague Catholic Church in Trussville. I am a member of the Alabama Association of Paralegals, Inc.
No representation is made that the quality of legal services performed is greater than the quality of legal services performed by other lawyers.